Ms. Takesh Hallin has been practicing exclusively family law since being admitted to the bar approximately 20 years ago. 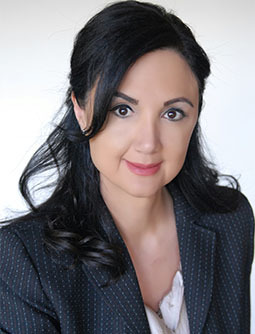 She was selected as a Southern California Rising Star for 2006 through 2009 by Los Angeles Magazine and has been named a Super Lawyer each year since 2010, Super Lawyers edition, through peer nomination, and independent research and review process. Ms. Takesh Hallin is a fellow of the International Academy of Family Lawyers, given her extensive work and experience in international family law matters. Ms. Takesh Hallin has lectured on various family law related topics, including at Continuing Legal Education seminars, and has served as Mediator for the Los Angeles Superior Court in family law. Ms. Takesh Hallin was a chair of the Family Law Section of the Santa Monica Bar Association for 2006. She has also been a contributing editor for the Los Angeles County Bar Association. Ms. Takesh Hallin has been selected as one of the Best Lawyers in America each year since 2011. In 2012, Ms. Takesh Hallin was named by Los Angeles Magazine as one of the Top Women Attorneys in Southern California, a title which she has continued to receive each year since 2015. Ms. Takesh Hallin has been selected as a member of the Nation’s Top One Percent by the National Association of Distinguished Counsel, an organization dedicated to promoting the highest standards of legal excellence. Ms. Takesh Hallin also handles Hague international child abduction cases and is on the list of the U.S. State Department for attorney referrals for such matters. Ms. Takesh Hallin’s practice areas include litigation, as well as mediation and collaborative practice.